The second annual Children's Picnic and Real Food Fair will be held March 30, from 1 to 5 p.m., on the grounds of the historic French Legation Museum, 802 San Marcos Street. The free event, which celebrates First Lady Michelle Obama's Let's Move! Initiative, invites families to pack a picnic, grow a garden, meet farmers and local food vendors, and enjoy cooking demos, music and much more. “Our Children's Picnic and Real Food Fair is a unique opportunity for the whole family to enjoy connecting to our local food community. The French Legation Museum grounds are a beautiful treasure and we are so happy to have them hosting this event again this year. Along with all the favorites from last year, we'll have lots of surprises and new activities this year!” said Marla Camp, publisher of Edible Austin magazine and co-organizer of the event. Just wanted to write to thank you all for putting on one of the best children’s events I've been to while living here in Austin for the past 8 years. That was such a lovely community event -- really friendly, knowledgeable vendors; yummy food; good music and such fun to see all the little kids running around and dancing…I hope there will be another soon! 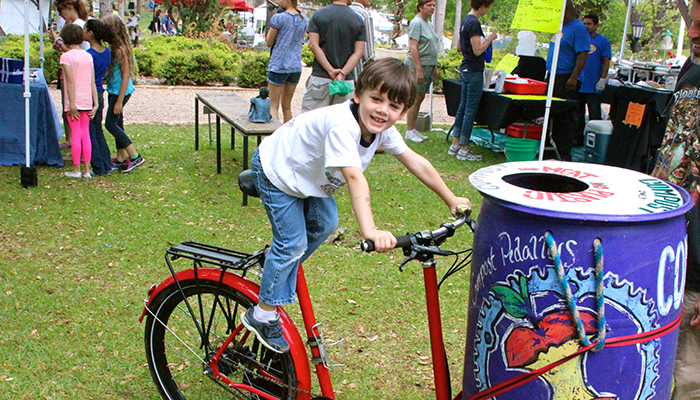 The Children's Picnic and Real Food Fair is co-presented by Edible Austin magazine, Toni Tipton-Martin's SANDE Youth Project, the French Legation Museum and Whole Foods Market. For more details, visit edibleaustin.com/childrenspicnic.